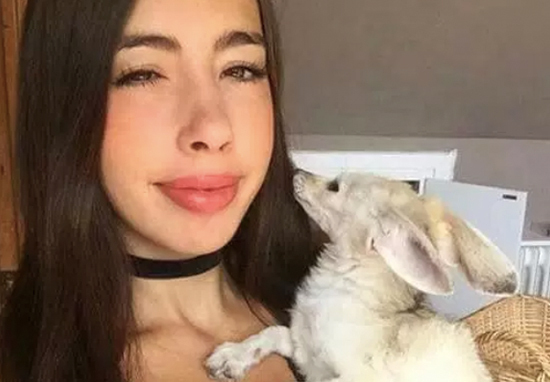 A vegan YouTuber has angered fans after placing her pet fennec fox on a strictly vegan diet. Passionate Barcelona-based vegan Sonia Sae is well known for encouraging others to live a meat and dairy free life. She is outspoken about issues concerning animal cruelty; often offering a critical opinion on the meat industry. However, her fans have become increasingly worried about her little fox, Jumanji, who Sonia reportedly rescued from a breeder back in 2014. Since his rescue, Jumanji has lived a vegan lifestyle alongside his owner, dining on primarily cat food, MailOnline reports. This is much different to what his diet would have been had he lived in the wild, feasting on mainly carnivorous foods such as mealworms, bugs and mice. 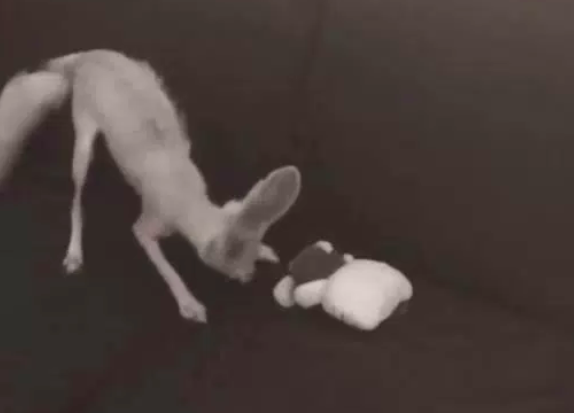 People have raised concerns after a night vision picture was uploaded to Instagram, showing the fennec looking very thin indeed as he played at stalking a Hello Kitty teddy. Sonia herself has previously spoken about Jumanji’s health issues, which are said to include hair loss, spontaneous convulsions and eyesight problems. Some people have attributed these health issues to his unusual meat-free diet, while also noting his apparent lethargy and sore skin. They [fennel foxes] are NOT omnivores. If you feed a fennec fox an omnivore diet they will get sick, it is not enough for them. In the wild, 90% of their food consists of meat and insects. The other 10% are roots and fruits eaten only as a suppliment and should not be fed as a large or main portion of their diet! It was recently also discovered Jumanji is partially blind already, no doubt due to taurine deficiency from his diet of vegan cat food. 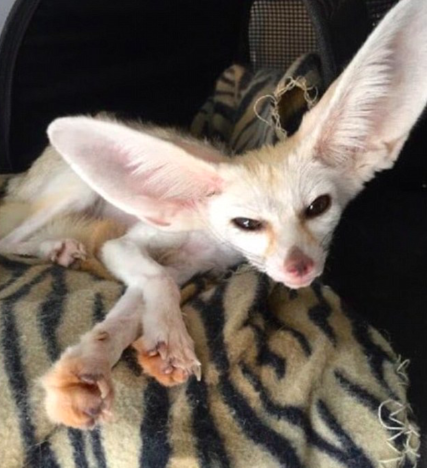 He is experiencing hair loss(which she claims is an allergy), appears underweight, and from the videos provided on her Instagram last week, he is also lethargic for a fennec. He also lacks a digging area so his nose is rubbed red in some images, most likely due to digging in sheets, carpeting, and hard flooring. Sonia has refused to listen to experts who are all appalled at her treatment of Jumanji and have contacted her regarding the health of her fennec fox. Among these are a few sanctuaries, fox rescues, and exotic vet techs. Whether that means removing him from Sonia’s care or Sonia being made to feed him a proper diet suited for a fennec fox, that is up to law enforcement and the experts involved in the case. Legit @peta need to do something about sonia sae. That fox is losing its fur and going blind because of her forcing a plant based diet onto him. An animal that is pretty much a carnivore, who occasionally eats insects and plants in the wild. In response to the comments made against her pet keeping skills, Sonia posted a video of Jumanji scampering around on a bed, apparently full of energy. Is Jumanji “lethargic”, “slow” or “tired”? I’ll let you decide. I’ll debunk this and the rest of the lies that have been virally shared recently regarding my son’s health soon. I am deeply thankful for all the support i’ve been receiving and I want to thank to all the people who have messaged me asking politely concerned about Jumanji’s health without harassing me or threatening to kill me. UNILAD has reached out to Sonia Sae for comment.